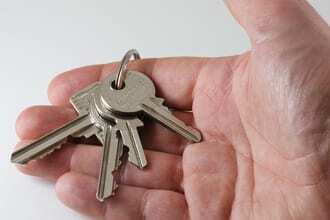 As soon as you obtain your Real Estate license, you will be keen to get stuck into it. You’ll be eager to show properties to potential clients, prepare paperwork, discuss property listing details, and negotiate deals. But before you seal you’re first deal, there’s one thing you need to consider. An exciting deal can quickly turn into a nightmare if one of your clients decides that you have been negligent and they decide to take legal action against you. As a real estate agent, you should consider purchasing Professional Liability (PL) insurance even before you open your doors for business. What are my risks as a Real Estate agent? A Real Estate agent's services have a higher exposure to risk than many other professional businesses due to the large amount of money involved with each transaction. Your clients can lose a lot of money if you make a mistake. If a client believes they suffered monetary loss due to your flawed advice or conduct, you could find yourself in the middle of a costly lawsuit. · Making a banking or inspection error - While you are not directly responsible for these errors, you are likely to be named as a co-defendant in the lawsuit. How do I protect myself and my real estate business from a lawsuit? There are a couple of ways you can protect yourself from any unforeseen lawsuits. Starting with conducting frequent risk management assessments and secondly by purchasing a Professional Liability insurance policy. · Documenting all communication with a client. · Recommending only trusted inspectors and appraisers to your clients. · Offering advice on aspects of the business you are knowledgeable about and referring your clients to others when you are not. Professional Liability Insurnce: What does it cover? A Professional Liability policy provides coverage against lawsuits that allege financial harm due to your professional services or from following your expert advice. There are a multitude of expenses that come with fighting your case in the court. One of the biggest (and most crucial) covered expenses is the cost of hiring an attorney. You need to be able to afford a good attorney that specializes in cases like yours. Another significant expense is a settlement or a judgment awarded against you. Your Professional Liability policy will provide financial coverage for other expenses including administrative and other legal costs. Depending on the carrier, the policy may provide for temporary staff and contractors acting on your behalf. As with all other insurance policies, this policy is not limitless. A typical limit of coverage is $1M or $2M, depending on the size of your company and your preferences. There are different levels of cover available which can provide higher levels of coverage. Why do I need a professional liability policy? In our highly litigious society, it's not a question of if you'll get sued, but when. As a realtor, you work with many clients and juggle many different tasks. Eventually, a mistake is likely to happen and unfortunately, when it comes to buying and selling properties, a mistake is usually a costly one. Finally, it's important to remember that if your business is not incorporated, your personal assets are at risk. If you do not have an insurance policy or the funds in your business to defend your case, you could end up losing your home and as well as other assets. Your wages can also be garnished for the foreseeable future. Professional Liability insurance policy is a critical component of your overall risk management plan. Just as you protect yourself and your vehicle by purchasing Auto insurance, Professional Liability insurance protects you and your business and provides your customers with peace of mind. Saving a few hundred dollars a month now, might mean having to come up with thousands of dollars out of pocket if you are sued. BizInsure can help you find the right coverage for you. Click here to receive instant quotes from our leading partners.